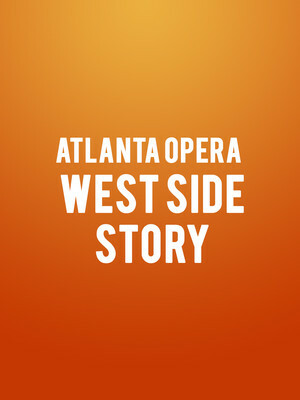 Atlanta Opera - West Side Story Event homeCustomer reviews Dear Evan HansenCatsWickedCome From AwayCharlie and the Chocolate FactoryRide the CycloneHello, Dolly! 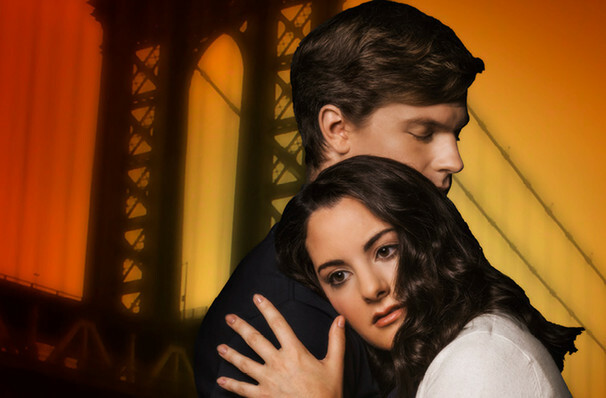 Why See Atlanta Opera - West Side Story? Jerome Robbins, Leonard Bernstein and Stephen Sondheim's musical theatre tour-de-force West Side Story first captured the nation's hearts when it blazed onto the Great White Way during its 1957 original Broadway run, going on to become one of the most performed productions in American history. The Tony Award winning classic comprises of a sophisticated score filled with angular, jazz riffs, romantic lyricism and the melodrama of opera, as well as choreography that redefined modern ballet and solidified Robbins' status as a master of the craft. Whilst adapting the Shakespearean tragedy Romeo and Juliet isn't exactly revelatory, West Side Story set a new standard. Every flick of the wrist, bold step and rebellious click imbues the production with a searing originality that marks it as a must-watch-musical-theatre-experience. Set in the 50s, The Glimmerglass Festival, Houston Grand Opera and the Lyric Opera of Chicago' the fizzing, high energy co-production artfully tells the tale of star-crossed lovers Maria and Tony, who are caught between two warring street gangs in a blue-collar neighbourhood in New York's West Side. As tensions rise to boiling point, their love gets caught in the crossfire. Seen Atlanta Opera - West Side Story? Loved it? Hated it? Sound good to you? Share this page on social media and let your friends know about Atlanta Opera - West Side Story at Cobb Energy Performing Arts Centre. Please note: The term Cobb Energy Performing Arts Centre and/or Atlanta Opera - West Side Story as well as all associated graphics, logos, and/or other trademarks, tradenames or copyrights are the property of the Cobb Energy Performing Arts Centre and/or Atlanta Opera - West Side Story and are used herein for factual descriptive purposes only. We are in no way associated with or authorized by the Cobb Energy Performing Arts Centre and/or Atlanta Opera - West Side Story and neither that entity nor any of its affiliates have licensed or endorsed us to sell tickets, goods and or services in conjunction with their events.